Greetings! 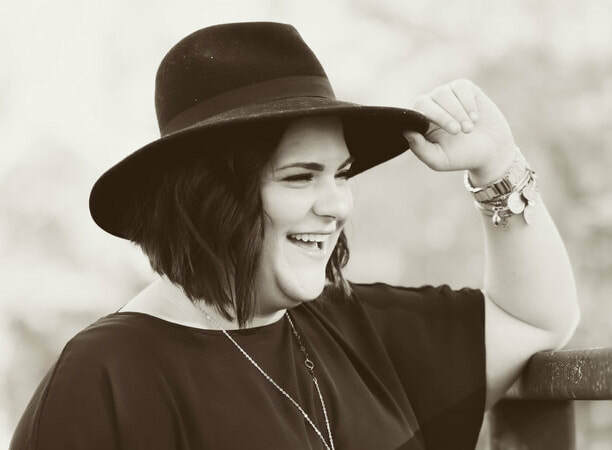 My name is Michelle Pereira and I’ve been a general member with NSAI for almost two years now. Just like you, I’m a songwriter. I write pretty much every day, sometimes even twice a day. Therefore, my catalogue has grown a little over the past two years since moving to Nashville and taking songwriting seriously. 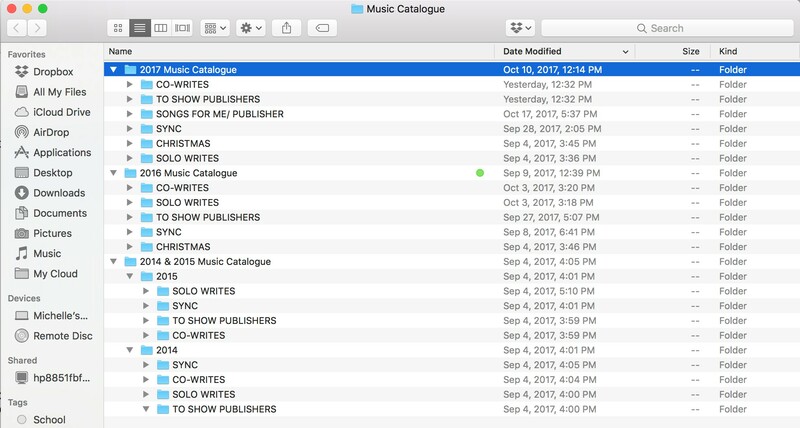 In this blog, I’m going to talk about what I personally do after every single co-write and how I go about organizing my personal catalogue. WHY IS CATALOGUE ORGANIZATION IMPORTANT? Before I even dive in to how I organize my catalogue, I want to tell you why I think it’s so important to do so. I had the privilege of voluntarily assisting a publisher. She had a backlog of music that had accumulated over her career as publisher, and my job there was to comb through and organize it. We had to go back years, through printed lyrics, some of which were handwritten, and digitize every single one. We then had to transfer and convert recordings from cassettes to mp3 files and make sure that each songwriter got the credit they deserved for the song they had written. This tedious work made me realize how much time could have been saved if all this valuable information was being documented correctly at the time the song was written. All in all, it just makes your life a whole lot easier when you want to come back to a song later. It’s also a great visual aid to show how many songs you have written and what you have written about. The CAE/IPI number system is something I feel is so, so, SO important to know, but not a lot of people understand what and why it is. To be honest, I didn’t know either, but after I learned, I made sure to include it in my “questions to ask my co-writer after our writing session” list. 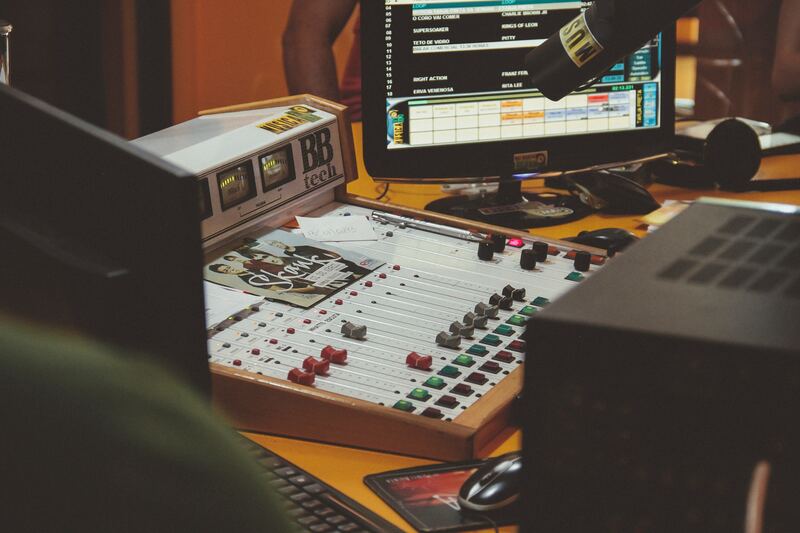 “In musical rights management, the CAE/IPI is used to identify rights holders. The CAE [CAE is the acronym for Composer, Author, Editor (a/k/a Publisher)] Number is a number assigned to every writer or publisher in the world who is affiliated with a performing or mechanical rights society. This number is assigned when you become a writer or publisher member. IPI is the acronym for Interested Party Information. In October 2001, the IPI number replaced the CAE number, so now the number is referred to as a CAE/IPI number. Click here to read more on the ReverbNation website. In other words, when the day comes that your song gets picked up by a publisher and an artist decides to cut it, your CAE/IPI writer number ensures that you get paid the royalties you deserve. Therefore, make sure you tell that publisher your correct CAE/IPI number! Now, I’m going to show you step-by-step how I keep my own body of work organized. This might help you get organized as well! SPREADING THE WORD ON SPREADSHEETS! I never thought I would be the person who would be making spreadsheets for everything, but alas, here I am. I feel like spreadsheets are the easiest way to organize all the information pertaining to each song you write. Who did you write the song with? Who is your co-writer’s publishing company? Do they have a publisher? Did you register the song with your PRO? What’s your co-writer’s e-mail? Phone number? PRO? Stage name? CAE/IPI Writer Number? I keep these spreadsheets easily accessible on my desktop. After each write, I open the files, update them with the song I just wrote. While my co-writer is still in the room, I ask them for all pertinent information. This way, I won’t have to bother them later for it. For each song I write, I create a folder. I name the folder the title of the song and who I wrote it with. Then I make sure to have the PDF and/or Word document of the lyrics in the same folder with an MP3 of the song. Anything relating to that particular song is placed in its labeled folder. This way, I know exactly where to find everything pertaining to that song in the future. If I feel like the song fits in more than one folder that you see above, I duplicate the folder as many times as needed and drag and drop it in the appropriate places. You may be reading this and thinking, “Man, this girl has A LOT of time of her hands!” I promise you, I don’t. Developing this routine took months. It wasn’t an overnight process, especially at the beginning. Getting started was the hardest part. It was daunting and overwhelming to me. It took EVERYTHING in me to start. What motivated me to get going was imagining that my “make-believe” publisher wanted it to be done and in their mailbox by next Monday morning at 10 am. So, I got moving and did it! Now, it’s second nature for me and just a part of my daily writing routine. As songwriters, I feel our job is to not only write killer songs but also to be on top of how we organize our music catalogue. To be ready the moment a publisher or song plugger asks you, “Hey, what do you have that’s a major key, up-tempo and Carrie Underwood style?” or “Do you have something that’s slow-tempo and Brett Eldridge’s style?” says a lot about how seriously you take this business. As an aspiring writer, it’s important to be prepared for any opportunity that might come your way! I hope you found this information useful! 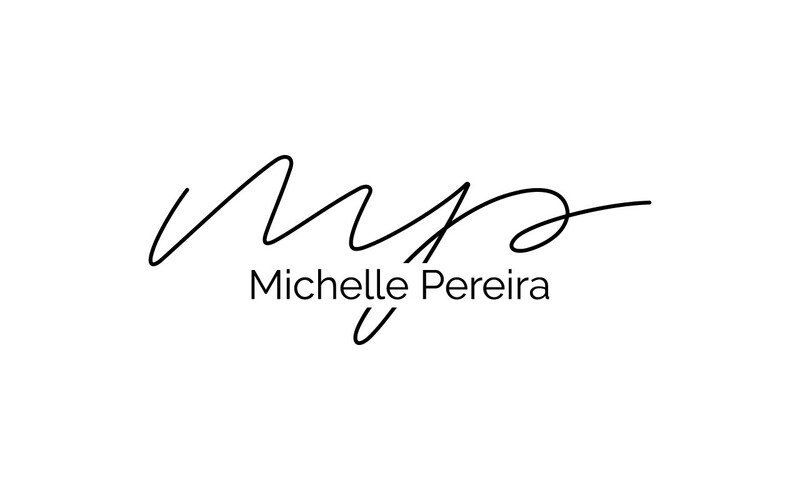 If you have any questions about it, please feel free to reach out to me through my website: Michellepereiramusic.com!